What is Alcohol and Drug tolerance? When it comes to drugs and alcohol tolerance is not a good thing! If your doctor, psychiatrist or counselor has begun to talk with you about tolerance and your drug use this is a bad sign. The concept of tolerance when applied to drugs, and alcohol is a drug also, is a very different idea than when applied to civil rights. Alcoholic tolerance does not mean that you are OK with a drunk sleeping on your lawn. It also does not mean that you are good with sleeping on other people’s lawns on the night you are too drunk to get home. Tolerance for the ill person is a commendable thing. Building up tolerance to a drug of choices is not. If your body develops tolerance for the drug, that is a serious problem. From here on we will use the definition of a drug as “anything that goes into your body and changes functioning or thought that is not food.” So yes Alcohol is a drug and so are prescribed medications whether you have the prescription or not. Remember also that this is written from a counselor’s perspective so if you have questions of a medical or legal nature ask your doctor or lawyer. Alcoholic tolerance is about the ways in which your body and your mind become accustomed to the presence of alcohol or another drug of choice. As a result of having lots of this drug in your system, you begin to change from the inside out. Tolerance along with Withdrawal are two of the hallmark, identifiable characteristics of addiction or alcoholism. Doctors might define this as chemical dependency but the concept is essentially the same. Tolerance is that natural adaptive skill your body has to resist things in you that are not normally there. So the first time you drink you will have a low tolerance. Once the liver has experienced the presence of alcohol it will ramp up and begin to produce more of the enzymes that break down the alcohol. Each successive time you drink you will need more alcohol to feel as drunk as last time. Over time you will develop a tolerance that means you can “hold your liquor” better and better. This ability to “Hold your liquor” or other drug is not a good thing. It indicates that your body is already changing as a result of use. As you develop higher tolerance you will feel less drunk or high than before resulting in a need or desire for more of the drug to get that same effect that you used to get. For some drugs, this is described as “chasing the high” as users find that they can never recreate that first using experience. Over time you will need more and more drug to get the same or similar effect and the same amount you used to use will produce less and less of an effect. This does not mean that the danger from use is declining. Just the opposite. I have worked with clients whose blood alcohol content (or level) was above .32 (read as point 32). Since .08 is legally drunk in this state, that person is drunk enough for four people. They were talking and walking around just like any normal person, or close to it. How? Because this person practiced drinking on a daily basis. Does that mean that they were OK? Not a chance. While they may be able to talk coherently and even walk a line close to the way a non-intoxicated person would, behind the wheel they would hit anything that was out there, on the road or not. In that condition a, person who is driving has been known to drive right into the tail lights of a parked car not recognizing that the car was not moving. People in this state of high tolerance can and do die without ever realizing the risks. Lots of heroin overdose deaths are a result of this tolerance phenomena. A person has a certain level of Heroin use, overtime they need to increase the amount they use as their body builds tolerance. One day they get arrested. They are in jail for a while, say thirty days. Over that time the body resets. Their tolerance to their drug of choice goes down. Now they get released from jail. When they get home they find that packet of drugs they had tucked away. They use exactly the same amount of the same drug as they were using the day before their arrest. They overdose and if medical attention is not fast enough they die. Why did this happen? Because over the time in jail while they were not using their tolerance declined. So if you stay off the drugs for a while then your tolerance will decline and you can start over using a small amount occasionally? Lots of alcoholics think this way. Give them a year of not drinking and they think they are cured and can safely drink again. What we are told is that once the body increases its ability to neutralize that drug of choice that increased capacity may take a vacation but it is still there. An alcoholic who has not had a drink for 5 years can develop the same tolerance and use pattern they had before they quit in days rather than the years it took the first time. Tolerance even after a long period of not using comes back fast and strong. The moral here is that if you have begun to develop tolerance or have used long enough to have this result you will probably never return to safe use. This tolerance effect explains why some prescribed medications need to be increased in dosage after a period of use. Sometimes doctors have to switch meds if you build up too much tolerance to one medication. Not every drug results in tolerance at the same rate. Some drugs can be used for years and little or no tolerance develops. Other drugs the tolerance develops so rapidly that if you use the drug one day it will have no effect on you the next day. I won’t tell you which drug that is but those of you who use it know what I am talking about. 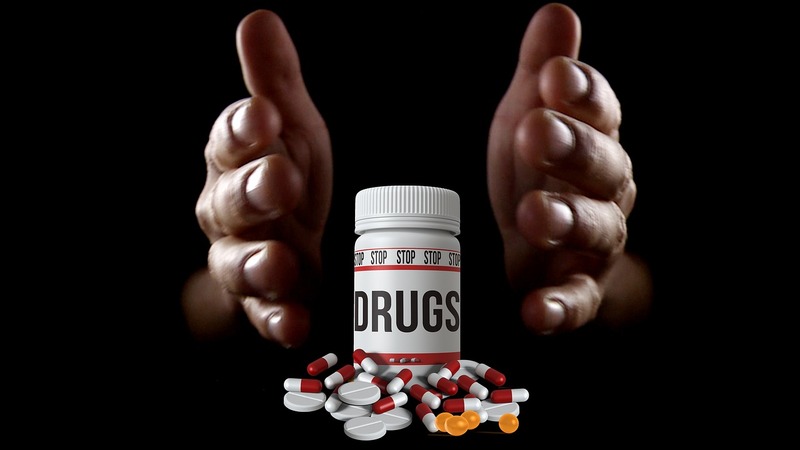 I should also point out that most street drugs, drugs of abuse, are much more likely to produce rapid tolerance and the resulting addiction than most prescribed medications but there are exceptions to that rule. When in doubt about the physical signs and symptoms of tolerance consult your doctor. If you are having behavioral or emotional issues as a result of using to the point of tolerance then consider treatment or counseling. This discussion about tolerance has focused on changes in physical tolerance. There are also characteristic mental and emotional changes that can occur as a result of drug use. For more on those mental health issues look under co-occurring disorders in the list of topics this blog covers. This entry was posted in Alcoholism, Drugs and Addiction, Recovery and Resiliency and tagged Addiction, Alcoholism, Behavioral Health, By David Joel Miller, Counseling, Licensed Therapist & Licensed Counselor, Mental illness, self-esteem, Therapy by David Joel Miller. Bookmark the permalink. Great to hear from you. Hope you had a good trip and thanks for that personal example.